Online gambling is a fairly new development for South Africans, and both experienced novice gamers will have online gambling questions. Whether they’re looking for the basics or some in-depth information, it’s good for players to know what online casinos and online gambling is about. 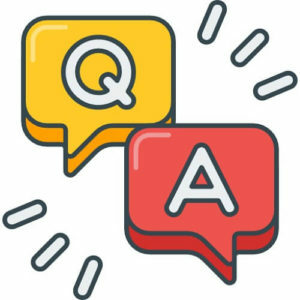 We at CasinoZA.com have taken the time to compile a comprehensive list of some of the most common online gambling questions SA players have. There are literally thousands of casino games online to play. From online slots, to roulette, to scratch cards and bingo, you will find all of these online. Here are some common online gambling questions related to casino games. Which casino games are available to play online? Leading South African online casinos will have all the games that you’ll find at land-based traditional casinos. Anything from the classic table games like roulette, blackjack, baccarat, and craps to slots, bingo, scratch cards, and keno. There are even live dealer variations to simulate the live casino experience. In fact, there is a much larger selection to choose from at casino sites because they don’t need a building to house their casino. Can I take part in progressive jackpots online? Yes. Many casinos have online slots and video poker machines with a progressive jackpot. However, most of the games have a traditional fixed jackpot. So, check the game’s description to see whether or not it has a progressive jackpot. What are casino software providers/developers? Casino software providers are the companies that design and develop casino games. They then supply them to casino sites. It helps knowing which casino software provider a casino is using because each provider does something well. At other times, for the more experienced players, they may prefer a specific developer. To see which software provider a casino is using, check the bottom of their site. Which casino software providers are available in SA? The iGaming industry is huge and most of the industry leaders are trying to break into as many markets as possible. In South Africa, the top names provide games for ZAR online gambling. Therefore, you’ll find games by International Gaming Technology (IGT), Net Entertainment (NetEnt), Nextgen Gaming, Playtech, and Realtime Gaming competing for your attention. Are online gambling games fair? When you play at trusted and regulated casino sites, gamblers are playing at sites that have been audited to make sure their games are fair. All the games make use of random number generators (RNG) which ensure that every outcome is random. Once players have the hang for an online game, or are keen on making real money, they’ll have to know how banking at casino sites works. There is a risk involved when playing with real money so it’s recommended that you know exactly what you should expect. Can I use South African currency when playing at online casinos? Yes, you’ll be able to use ZARs at casinos that are South African friendly. Here at Casino ZA.com, we have collated the best casinos for South Africans. Head over to Punt Casino, Yebo Casino, Springbok Casino, Thunderbolt Casino, and Casino.com for the best casino sites accepting the Rand. Which banking options can I use? There are many banking options available to South African punters online. However, selecting the right one depends on what the casino site accepts and what you find the most convenient. Banking options range form the traditional bank transfer or credit card, to using e-wallet services like EcoPayzCard, or fast transfer services like EasyEFT. Make sure to check the fine print with each service on your chosen casino before committing to it. How do I make deposits into my casino account? Making use of your preferred method, you can transfer money from your bank account or e-wallet to your casino account. For more detailed information, go to your casino’s cashier tab and it will explain everything there. How do I withdraw from my casino account? Usually it’s the same as for deposits but these tend to take longer to reflect in your account compared to deposits. Again, check under the cashier’s tab to see more on the transfer method and period. With the sophistication of mobile devices like smartphones and tablets, there are greater online gambling opportunities available. For those who love the idea of gaming-on-the-go, mobile casinos are perhaps the best thing. In these online gambling questions, learn about what mobile casinos provide online gamblers. 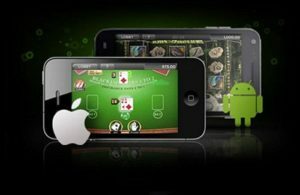 Can I access my online casino on a mobile device? Yes, all the South African sites on CasinoZA.com are accessible through a mobile device. If your casino site is available in HTML5 or downloadable app, and is compatible with and operating system like Android, iOS, Windows and Blackberry, then you can play on your phone. This depends on the casino. Others have an app that you have to download, while others instant play and they can be played through the phone’s internet browser. Check on your preferred casino what they have available. Are all the games available on the desktop casino available on mobile? No, not all the games available on desktop are available on mobile. But there still are a significant amount of games available to keep you entertained. Casino bonuses attract new gamers and are very beneficial to the players. But, not all bonuses are equal and players shouldn’t just accept them without doing research. However, the online gambling questions below related to the casino bonus will help players navigate this lucrative and enticing offer from casinos. A casino bonus is an incentive to get players to sign up and stay with the site. They come in different forms from the highly sought-after welcome bonus – a gift a player receives after signing up to the casino – to the daily and monthly free spin bonuses on offer. Before signing up, read the fine print of the bonuses. At some (often dubious) online casinos, if it’s too good to be true it probably is. Which games can I use my casino bonus on? The casinos specify which games bonuses can be used on, how many times, and when. Check the fine print, and terms and conditions to know exactly what you’re getting. These are the terms and conditions of a casino bonus. These will explain everything from how the bonus is used, to whether it’s cashable or not. It may seem boring to read, but to protect yourself and avoid disappointment, familiarise yourself with the wagering requirements before signing up. One thing casino sites and players must never compromise on is their safety and security. Online gambling requires players to entrust their personal and financial information to the site. Consequently, players expect the casino sites to keep it secure from data breaches and not misuse it. We take a look at what safety and security at gambling sites should be like, and what players need to be on the lookout for. How can I tell if a gambling site is safe? A good way of telling if a gambling site is safe is to check the level of encryption software they use. Usually this is mentioned on their site. It’s extremely important for a casino site to have encryption protection because, in the case of data breaches, hackers won’t be able to decipher the information. The standard is 128-bit SSL. What are rogue or blacklisted sites? Online casinos with questionable business practices are flagged as rogue. These are sites that are slow or don’t play, have poor customer services, or rig games. They are then put on a blacklist when they are at fault. How do casino site help problem gamblers? The best sites will have measures players can use to protect themselves from themselves. Firstly, some have the option to self-exclude from the site: you choose a period you want to be locked out of the site and they won’t send you any promotional material. There’s also the option of setting a daily and monthly limit on deposits. Learn more about the legality of online gambling in South Africa with Casino ZA.